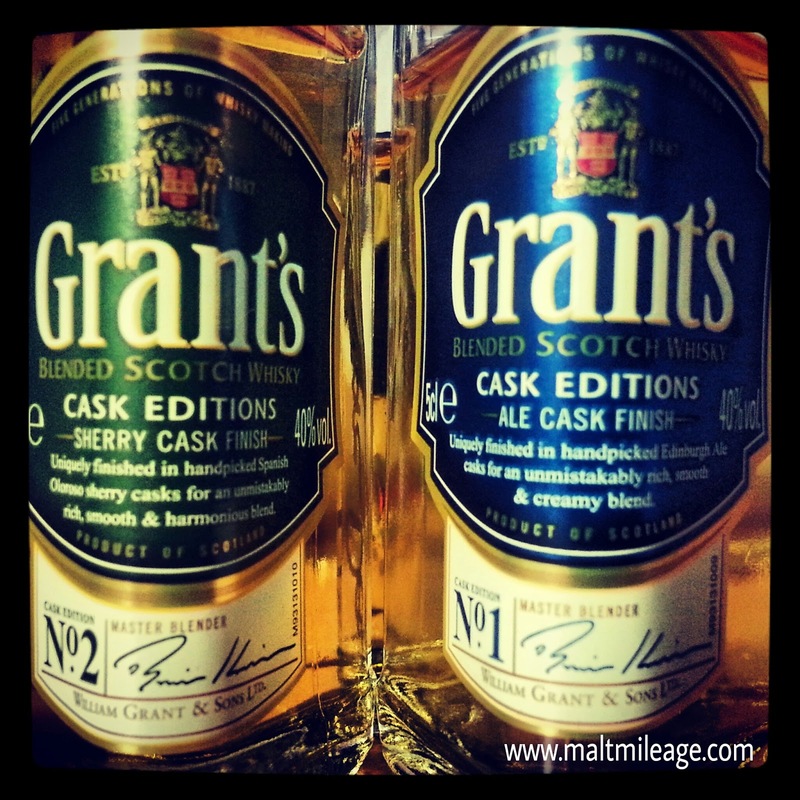 Grant’s produces blended Scotch whisky at low Low LOW prices!! In my opinion, you get what you pay for… don’t expect much with these particular entry level whiskies. That should be no surprise, though, because they are very affordable (especially for the Australian market). They are good, dependable, whiskies. Would I buy them, even at their price? No. Nose: Strange note on the nose, almost reminiscent of wet tar or a wet ash tray that develops into a more discernable peat. The peat intermingles with a sour sweetness, almost like grape flavoured sour lollies/candy, as bright shades of orange flesh and freshly cut brown pear develop. Taste: Very light, the peat dominates on the palate and gains in intensity with a sugary sweetness that is quite syrupy. The grassy peat lingers and remains on the palate with the sticky sweetness. Finish: A mild bitterness remains on the palate, as the sweetness intermingles with it. Fairly simple with strange peat influence. Nose: The immaturity strikes the nose like an angry snake. The sherry cask does a great job, but the stench of nail polish remover and shoes polish cut through the sweetness and oak influence. There are some notes of grain that shine, but the unsavouray aspects of new spirit are identifiable on the nose. Taste: A bitter wave comes crashing into the sherry and oak, as the sweetness develops but there is nothing that leaps out onto the palate. It is very sweet, syrupy, sugary, star fruit compote. There is a harsh chemical-like aggression that burns uncomfortably, chasing away the other character before it has a chance to develop; as on the nose, it reminds me of shoe polish and nail polish remover. Finish: The syrup lingers as the sweetness remains unabated. Nose: There may be something about the ale cask that neautralises the unsavoury notes of the new spirit I identified in the Sherry Cask, or it may be that this batch containes a different batch. I cannot conclude which is correct, but I can say that the nose on this is beautiful. The bright sweet orchard fruits develop with creamy alcohol that spark with grain and barley alike, as the ale cask works its magic. Taste: A big burst of sweetness strikes the palate, and despite the beautiful nose the surge of sweetness overpowers the oak influence though some malt shines though with sweet fruit notes. Finish: Sugary sweetness lingers with the crisp burn of alcohol. Much too sweet. Simple on the palate.